457 pages | 13 B/W Illus. 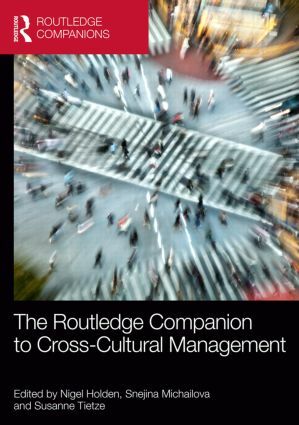 Edited by an international team of scholars and featuring contributions from a range of leading cross-cultural management experts, this prestigious volume represents the most comprehensive guide to the development and scope of cross-cultural management as an academic discipline. Nigel Holden is Visiting Research Fellow at Leeds University Business School, UK. Snejina Michailova is Professor of International Business at the University of Auckland, New Zealand. Susanne Tietze is Professor of Management at Keele University, UK.